Product prices and availability are accurate as of 2019-04-17 22:49:33 BST and are subject to change. Any price and availability information displayed on http://www.amazon.co.uk/ at the time of purchase will apply to the purchase of this product. 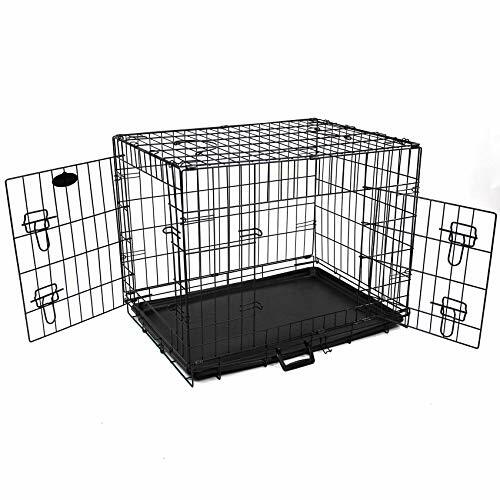 This offer is for a new foldable dog cage with 2 doors and removable tray for easy cleaning. 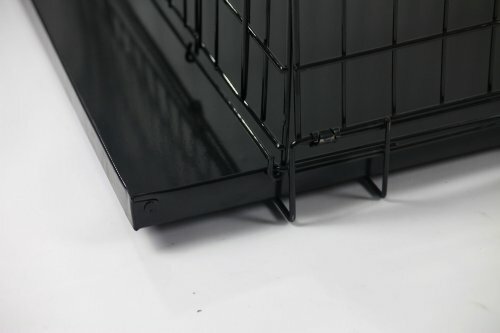 easipet dog cages are designed with your pet in mind and use only the highest quality materials with a non-toxic coating. Recommended by vets and breeders. 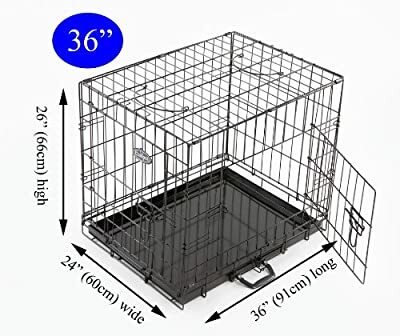 Please choose correct size cage for your pet. It should be large enough to enable pet to stand and turn around. Please note sizes are approximate and should allow for manufacturing tolerances. 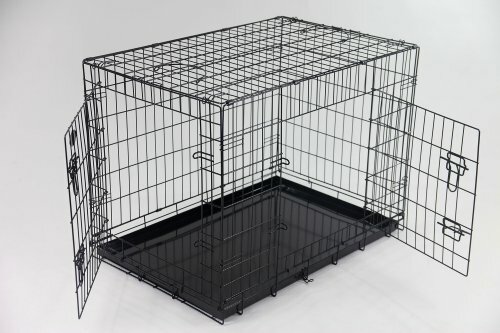 36" Cage 36" long x 24" wide x 26" high 91cm long x 60cm wide x 66cm high American Pit Bull Terrier, Basset Hound, Beagle, Border Collie, Brittany Bulldog, Chinese Shar-Pei, Cocker, Corgi, Dalmatian, English Springer Spaniel, Finnish Spitz, Labrador, Retrievers, Pointer, Soft-Coated Wheaten Terrier, Spaniel, Springer, Staffordshire Terrier, Whippet Please read all instructions and recommendations carefully before using pet cage. 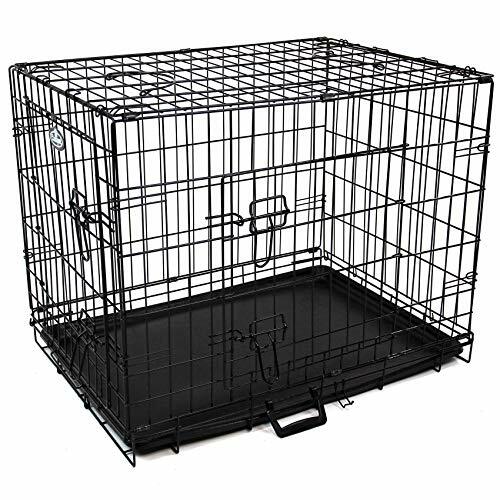 It is important that your dog/puppy feels safe, happy and secure using cage before being left alone. An anxious or agitated pet should not be left alone as may cause severe damage to the cage or your pet. You must train your pet before leaving them alone in the cage. 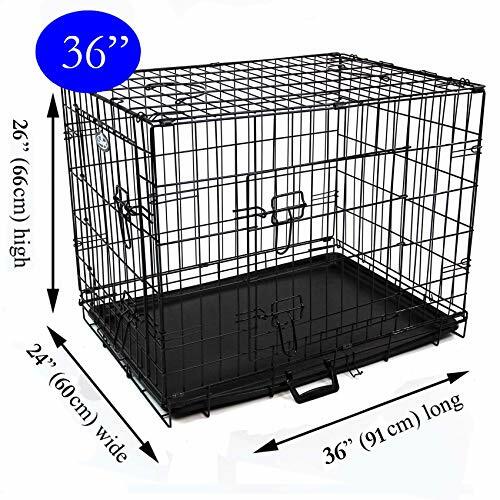 This offer is for a new foldable dog cage with 2 doors and metal removable tray for easy cleaning. 36" long x 24" wide x 26" high 91cm long x 60cm wide x 66cm high Please note sizes are approximate and should allow for manufacturing tolerances. You must train your pet before leaving them alone in the cage.